Bulk Order Signature Goodies for Your Next Event! To Be Gluten Free caters to parties and other events such as book clubs and meetings. Any of To Be Gluten Free's signature items can be ordered in large quantities to fit the size of a customer's guest list. Shown below are granola party favors and a cookie platter. Wildflower, a boutique in Glen Head, celebrated its third anniversary in August 2017 and threw an amazing party complete with To Be Gluten Free party favors. Granola is a great giveaway item at events and parties. A platter of any To Be Gluten Free item can be made, wrapped, and delivered to your next event! Perfect for dessert at dinner parties, holiday gatherings, meetings, and more. To Be Gluten Free offers custom cakes for all occasions. 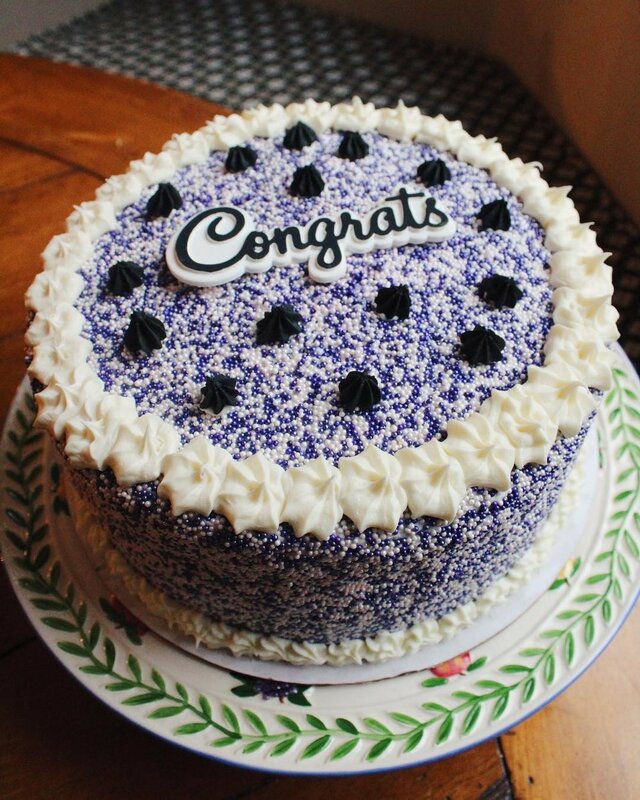 From birthdays to holidays, college commitments and graduations, a cake can be made for all celebrations. Prices varry based on size and features added to the cake such as multiple layers, types of fillings, coloring the inside of the cake, and more. 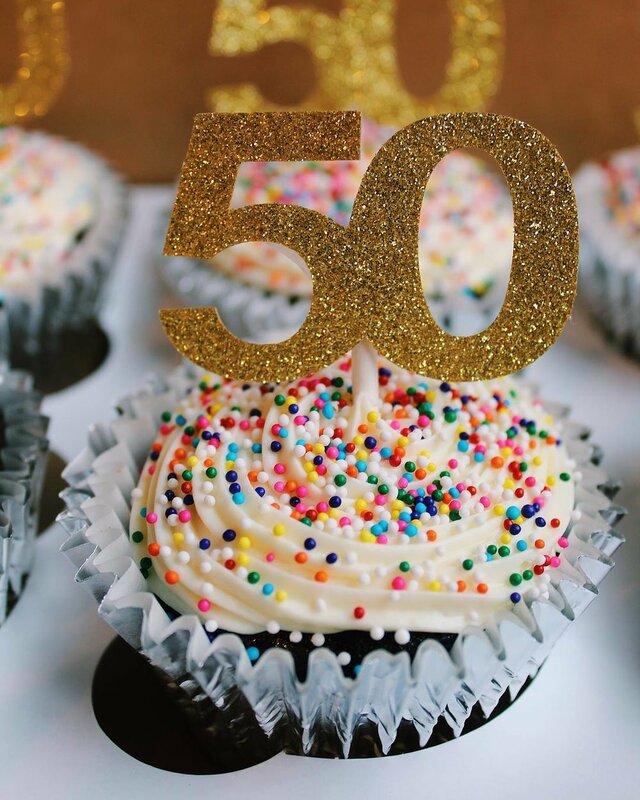 Most cakes cost $6.70 per inch (example: 9-inch cake is usually $60.00). 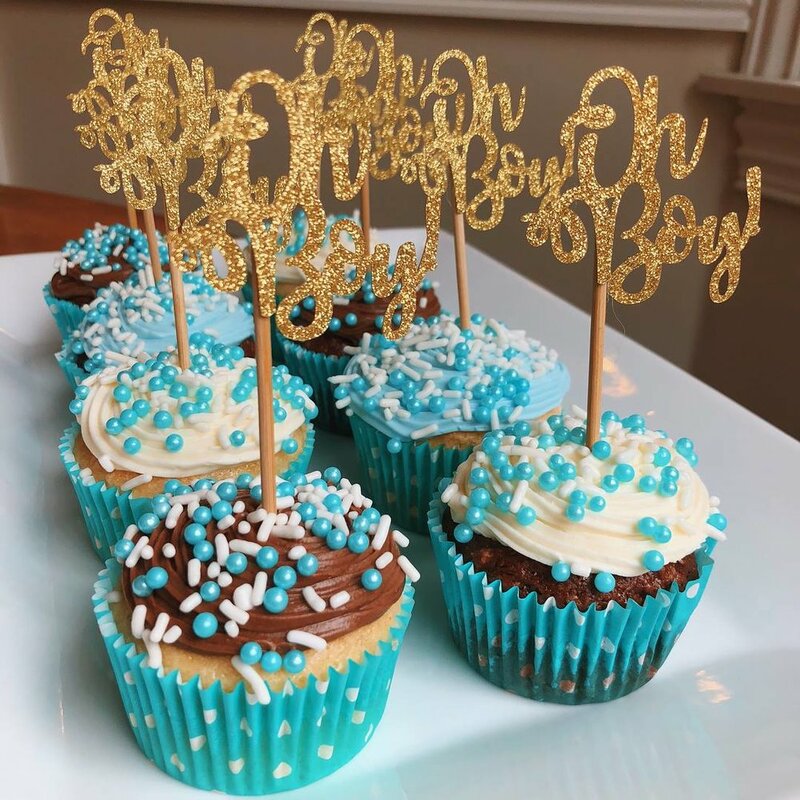 Email zoe.tobeglutenfree@gmail.com if you are interested in purchasing a custom cake and to recieve the full list of custom options for your cake. 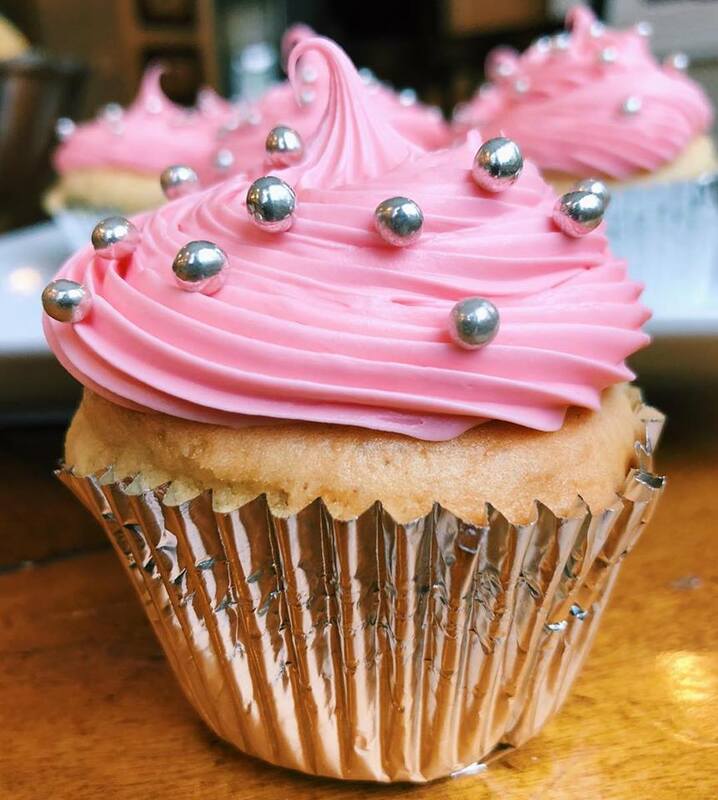 Let Them Eat Cupcakes, too! Vanilla cupcake with chocolate frosting. Vanilla cupcakes with pink vanilla buttercream.